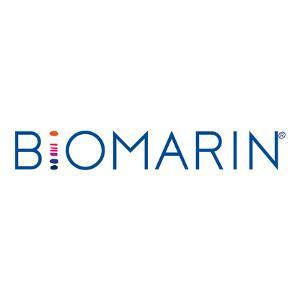 BioMarin Pharmaceutical Inc. (NASDAQ: BMRN) stock rose over 1.3% on April 26th, 2018 driven by their positive pipeline and decent first quarter of 2017 performance. BioMarin delivered $373 million in total revenue, which is a rise of 23% on a year-over-year basis. Aldurazyme contribution on the back of the new revenue recognition accounting standards drove the performance. Across their established commercial brands, the group remains on track and are reaffirming their full-year guidance for each of the products individually and for total BioMarin revenues. Brineura for the treatment of CLN2, which was approved in both the U.S. and EU in 2017. The commercial strategy for Brineura is different than for their typical ERT products. Their primary focus is on raising awareness among physicians to facilitate early diagnosis. The Brineura launch is still in its global rollout, and the group is seeing a gradual, steady ramp of new countries and a further site prepared to provide treatment. As a result, there’s been a steady rise in the number of commercial patients treated with Brineura. The group continues to expect to have about 40 sites equipped to offer treatment with Brineura by midyear this year. They are seeing a high level of interest from physicians and families impacted by CLN2. The FDA is wrapping up their review of pegvaliase and the follow-up process is unfolding as expected, including discussions on potential post-marketing commitments, labeling, and safety management. Their marketing authorization application for pegvaliase is accepted by the European Medicines Agency in late March. The group looks forward to working with European health authorities over the coming months with an eye towards making pegvaliase available to patients and families in that region upon potential approval in the European Union. Moreover, their gene therapy product to treat PKU, is forecasted to enter the clinic in 2019. The group is encouraged by the data observed to date, demonstrating a sustained normalization of Phe levels in pre-clinical models out to 53 weeks as of the last observation.